* (that may be registered by time event callbacks just processed). * fires, or when the next time event occurs (if any). * If flags is 0, the function does nothing and returns. * if flags has AE_ALL_EVENTS set, all the kind of events are processed. * if flags has AE_FILE_EVENTS set, file events are processed. * if flags has AE_TIME_EVENTS set, time events are processed. * if flags has AE_CALL_AFTER_SLEEP set, the aftersleep callback is called. * the events that's possible to process without to wait are processed. * means that scheduled operations will not be performed soon enough. const uint64_t m2  = 0x3333333333333333; //binary: 00110011..
* zero (if 'bit' is 0) in the bitmap starting at 's' and long 'count' bytes. * blocks of 1 or 0 bits compared to the vanilla bit per bit processing. * character, and 'size' raxNode pointers, point to each child node. * if node is compressed (strlen != 0) the node has 1 children. * the current compressed node. 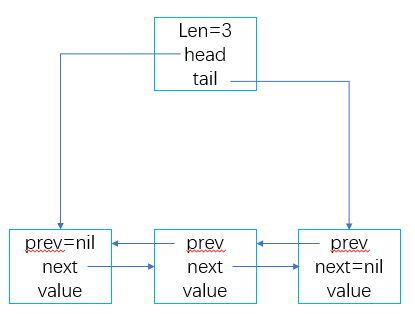 * in the representation above as "value-ptr" field). /* Allocate a new non compressed node with the specified number of children. * child pointer if it gets reallocated. * of the realloc, so the caller should discard 'n' and use the new value). * so that we can mess with the other data without overwriting it. * property and the associated value if any will be preserved. * chars in our string. We need to insert the missing nodes. * of the parent node in its parent, so this task is up to the caller. /* Try to reach the upper node that is compressible. |11111111| - End of ziplist special entry. /* Update the access time for the ageing algorithm. * in the specified DB. * 1. A key gets expired if it reached it's TTL. * 2. The key last access time is updated. * 3. The global keys hits/misses stats are updated (reported in INFO). * the object linked to the key, but only for read only operations. *  LOOKUP_NONE (or zero): no special flags are passed. *  LOOKUP_NOTOUCH: don't alter the last access time of the key. * master in order to have a consistent view of master's data set. * will say the key as non exisitng.